Cloak yourself in mystery and intrigue with this Sheer Black Hooded Cape. Made of 100% polyester, the hooded cape measures 70 inches in length from the bottom hem to the collar. The cape features black ribbon ties for knotting and securing the cape in place. 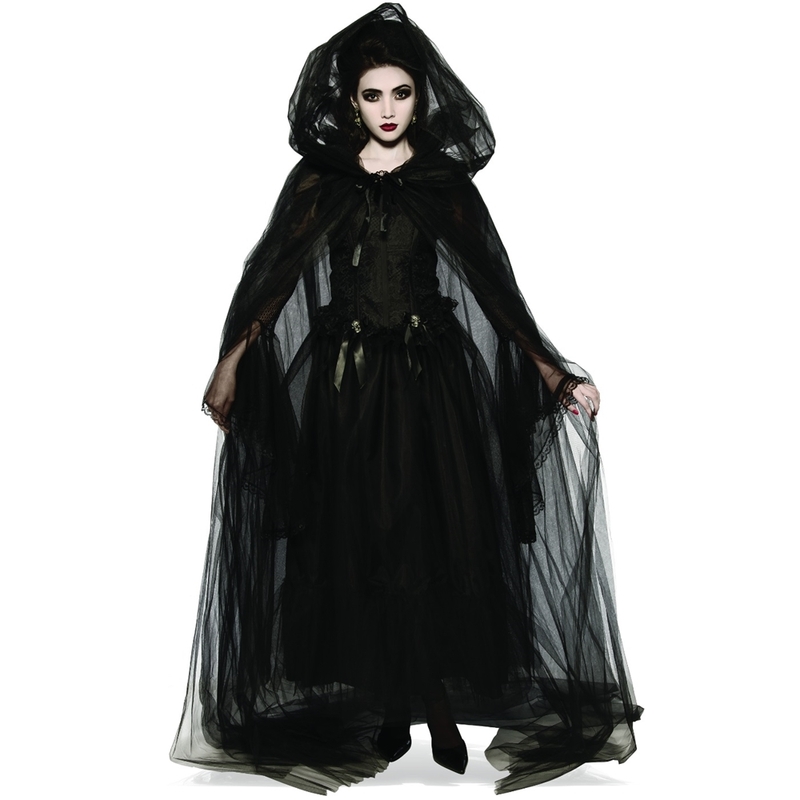 Elegant and dark, this black hooded cape is terrific for a witch, dead bride, or any gothic-inspired look.